This 2018 39-minute Oscar Nominated Short Documentary directed by Academy Award winner Thomas Lennon, follows the harrowing launch of Edwin’s Restaurant in Cleveland, Ohio. What makes Edwin’s so special is not just it’s world-class serving of 25 French dishes, but its staff of ex-inmates trying to fashion new lives for themselves by participating in a culinary adventure. KNIFE SKILLS is a concentrated punch of honest human struggle telling the story of ex-cons confronting their challenging issues by working at an upscale restaurant started by a former inmate. We see their lives outside of the restaurant as much as their lives at their tasks inside, learning the ins and outs of the trade. Brandon, the founder and top chef of Edwins, says a restaurant saved his life. He himself was busted for drug possession and evading arrest when he was young. Throughout the movie he is seen driving the staff and wrestling with his own demons. Ex-inmate now staffer Marley tries to overcome the addiction in her past while polishing her culinary skills in the kitchen. Alan, a cook and former drug dealer, saw his best friend gunned down when he was younger. Their travails are more than the trials and tribulations of opening up a restaurant. Their struggles are the honest truth about how hard it is to make a life for yourself after leaving prison. Besides the Oscar that Director Lennon shared with Ruby Yang for the 2007 THE BLOOD OF YINGZHOU, he has three other Academy nominations, two national Emmys, two duPont-Columbia awards, two George Foster Peabody awards and two films that premiered at Sundance. Lennon and his KNIFE SKILLS co-producer and editor, Nick August-Perna. recently completed SACRED, which draws on the contributions of more than 40 filmmakers around the world to explore the role of prayer and ritual in daily life. Lennon founded, with Ruby Yang, the China AIDS Media Project; their AIDS awareness messages were seen over a billion times on Chinese television and the Internet, making it probably the most far-reaching AIDS media campaign ever created. Picture of Lennon courtesy of knifeskillsthemovie.com. 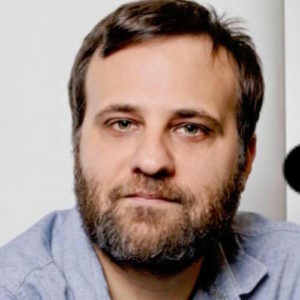 KNIFE SKILLS co-producer and editor, Nick August-Perna, is a New York–based filmmaker and documentary editor. His projects have aired on National Geographic, PBS, and HBO. 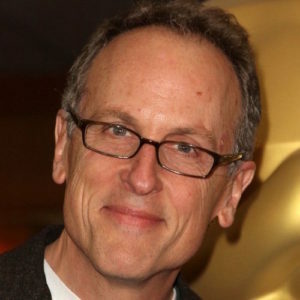 Among the works he has edited, directed, or produced: COLLIDING DREAMS, a three-hour history of Zionism that opened in theaters in March 2016; a 2012 documentary for National Geographic on the world’s polluted oceans; and THE SWELL, a 2011 feature-length documentary about Academy Award-winning musicians Glen Hansard and Marketa Irglova. Nick also edited the Emmy-nominated short film DELANO MANONGS: FORGOTTEN HISTORY OF THE UNITED STATES FARMWORKER. Picture of August-Perna courtesy of knifeskillsthemovie.com.